Find offers and save money! Earn loyalty points at all of your favorite locations. Find great deals and coupons at home, or on the go! Manage all your offers with ease!. Coupons, deals, rewards, gift cards, and loyalty - all in one spot! So what is Connected Commerce? It’s easy, free, and best of all, it connects you to all of your favorite local businesses and sends coupons, deals, gift cards, and rewards straight to your phone! Are you a business owner? Do you want to attract, interact, and retain more customers to grow your business? 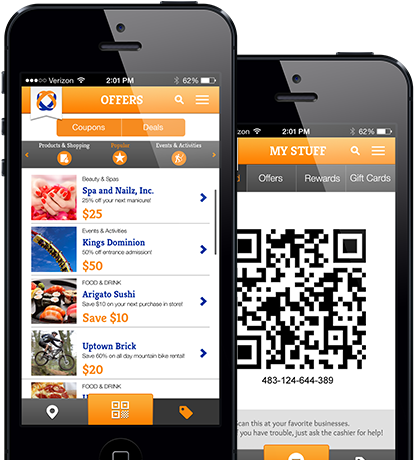 Take control your coupons, deals, and loyalty programs today!